The body’s intelligence is largely an untapped resource in psychotherapy, yet the story told by the “somatic narrative”– gesture, posture, prosody, facial expressions, eye gaze, and movement — is arguably more significant than the story told by the words. The language of the body communicates implicit meanings and reveals the legacy of trauma and of early or forgotten dynamics with attachment figures. To omit the body as a target of therapeutic action is an unfortunate oversight that deprives clients of a vital avenue of self-knowledge and change. Written for therapists and clients to explore together in therapy, this book is a practical guide to the language of the body. It begins with a section that orients therapists and clients to the volume and how to use it, followed by an overview of the role of the brain and the use of mindfulness. 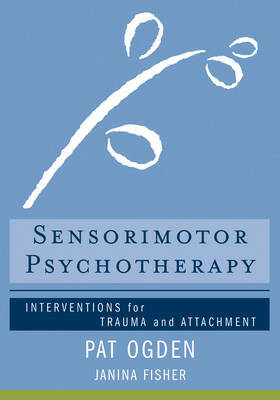 The last three sections are organized according to a phase approach to therapy, focusing first on developing personal resources, particularly somatic ones; second on utilizing a bottom-up, somatic approach to memory; and third on exploring the impact of attachment on procedural learning, emotional biases, and cognitive distortions. Each chapter is accompanied by a guide to help therapists apply the chapter’s teachings in clinical practice and by worksheets to help clients integrate the material on a personal level. The concepts, interventions, and worksheets introduced in this book are designed as an adjunct to, and in support of, other methods of treatment rather than as a stand-alone treatment or manualized approach. By drawing on the therapeutic relationship and adjusting interventions to the particular needs of each client, thoughtful attention to what is being spoken beneath the words through the body can heighten the intimacy of the therapist/client journey and help change take place more easily in the hidden recesses of the self.